Apple, Inc (the computer company) and Apple Corps (The Beatles' record label) have finally put an end to their damaging trademark dispute - 16 years after it first began. The agreement, posted in a press statement today, could herald the arrival of The Beatles' back catalogue on the iTunes Store . 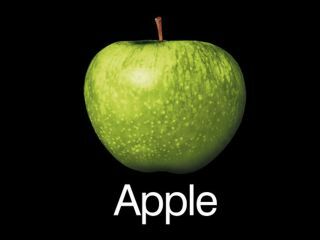 Under the terms of the agreement, Apple, Inc will take on all rights to the Apple name and will lease the trademark back to Apple Corps for certain uses - a radical move given the enmity between the two companies previously. Commenting on the agreement, Apple, Inc CEO Steve Jobs said: "We love the Beatles, and it has been painful being at odds with them over these trademarks. It feels great to resolve this in a positive manner, and in a way that should remove the potential of further disagreements in the future." Neil Aspinall of The Beatles ' record label Apple Corps said: ""It is great to put this dispute behind us and move on. The years ahead are going to be very exciting times for us. We wish Apple, Inc every success and look forward to many years of peaceful co-operation with them." Aspinall said last April that The Beatles back catalogue and had been remastered ready for release online once the company had found a suitable digital download partner. Apple's Inc's Steve Jobs had also made no secret of the fact that he wanted the Fabs on iTunes: "we'll do whatever we can," he said last year. During his Apple keynote in January Jobs constantly referred to The Beatles during his iPhone presentation - he used tracks by the band as examples of the phone's iPod integration.